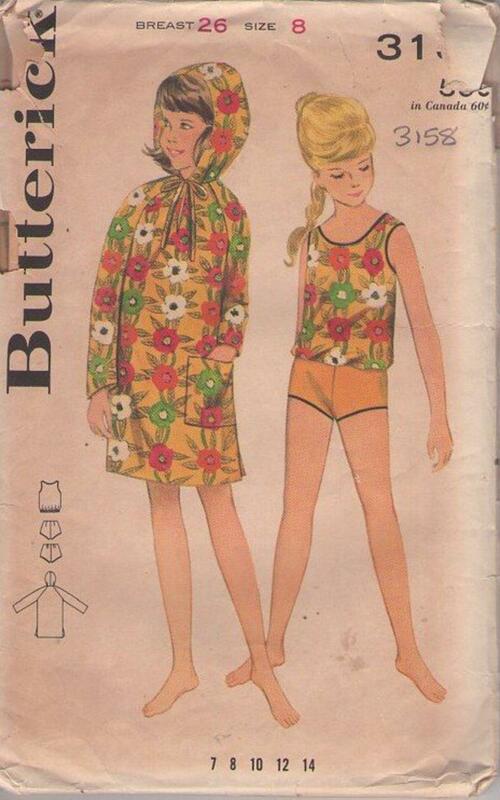 60s Children, Retro Summer Clothing Patterns - GIRLS' SPORTSWEAR. Bathing suit with sleeveless overblousehas scooped neckline, elasticized hem, Fitted briefs. Hooded beachdress with long, raglan sleeves, patch pocket. CONDITION: This Original Vintage Sewing Pattern was cut & used. All pieces appear to be complete and intact and have been neatly refolded with the original instructions. Envelope is aged.